Where Is the Best Place to Go Kayaking in Napa Valley? There are a number of ways for you to experience Napa: a scenic bike ride, a leisurely drive, even by hot air balloon. But one of the best ways to connect with the beautiful surroundings is to hit the water and kayak in Napa Valley. The Napa River offers a full day of adventure. As you paddle down this gentle waterway, you’ll see wildlife, picturesque vineyards, and learn about the area’s first inhabitants. Schedule your kayak excursion today! 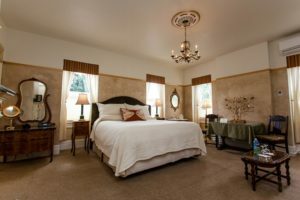 Churchill Manor is in downtown Napa in the heart of wine country. From our historic inn, you can easily access outdoor adventure (like Napa Valley kayaking), restaurants, tasting rooms, wineries, shopping, and more. Download our free Vacation Guide to learn about our top picks for the area. Whether you’re looking for a guided tour of the area or just want to spend a couple of hours paddling around, Enjoy Napa Valley can help. This kayak outfitter is about a half-mile from Churchill Manor, making it easy for you to walk over after fueling up with our delicious breakfast. 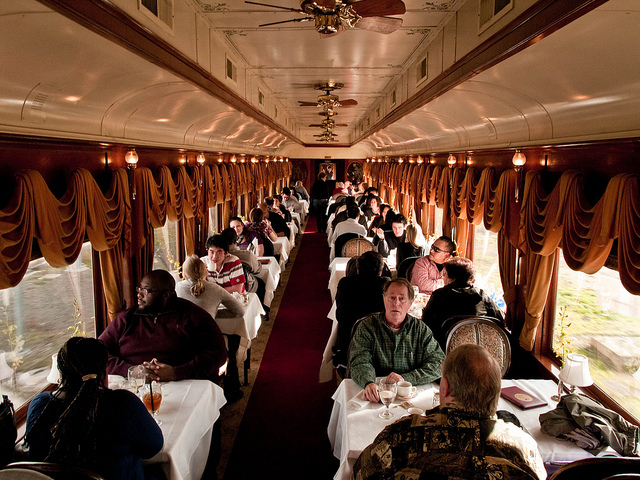 Tours are suitable for all levels and Enjoy Napa Valley has everything you’ll need. 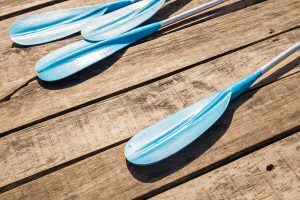 Don your lifejacket, grab a paddle and step into your boat. Once everyone’s ready, your professional guide will begin your 1.5-2-hour tour on the Napa River. The guide will help you: ID birds and wildlife, tell stories about the Native Americans who first inhabited the area and for which many areas are named. 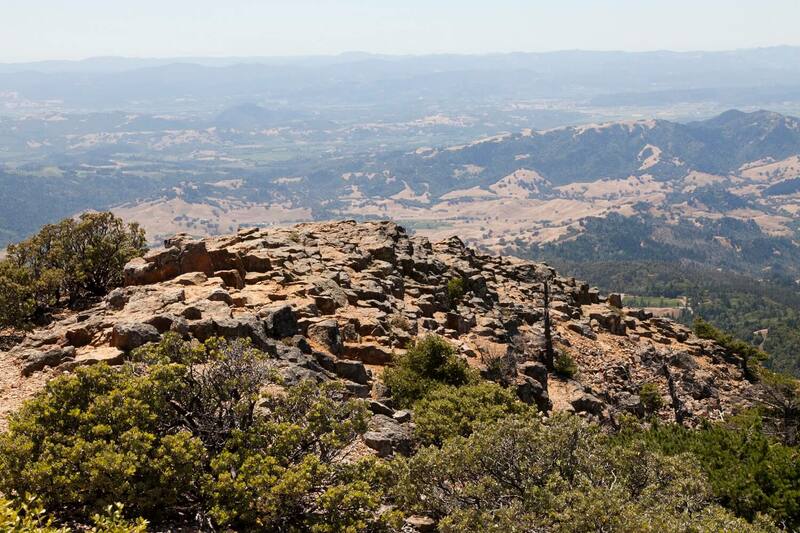 The name Napa itself is of Native American origin, although the exact meaning has never been decided, as translators have said it could mean grizzly bear, fish, motherland or house. Still, your tour will include information about how the Native Americans lived, as well as details about the European settlers, and the evolution of the area into its current status as one of the most beloved wine capitals of the world. Guided tours are just $7. 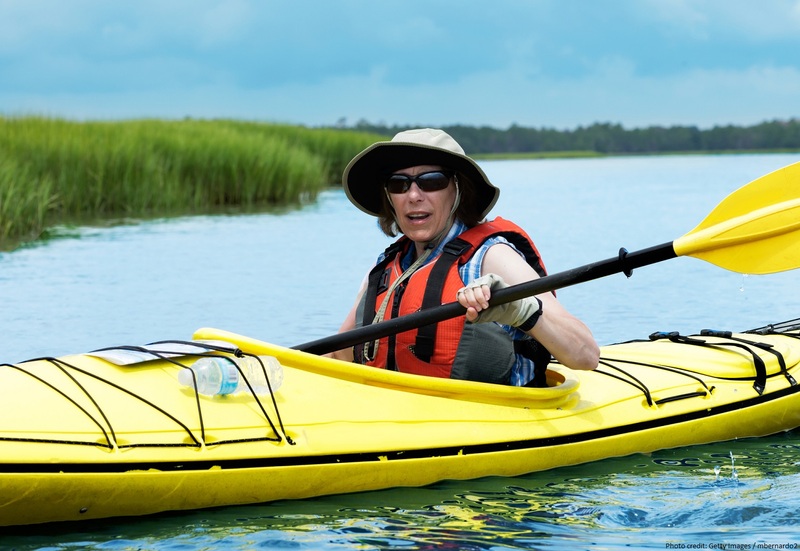 Kayak rentals for self-guided tours are $59 for two hours. Other options are available. Visit their website for more information. After a day of exploring the region on a Napa Valley kayak tour, it’s time for you to return to Churchill Manor to relax and unwind. Freshen up in your luxurious room and then come join us for afternoon appetizers and a glass of wine on the veranda before heading out to enjoy one of Napa’s many restaurants. When it’s time to turn in for the night, you’ll find yourself surrounded by comfort and all of the amenities of home. A guest favorite is the Atlas Peak room. This third-floor room features an antique king brass bed and vineyard themed decor. It also includes a gorgeous clawfoot bathtub, which is the perfect place to relax sore muscles after a day spent paddling in the river. Enjoy a luxurious soak with a glass of wine as you reflect on today’s Napa adventure and plan for tomorrow’s. Check our availability and book your reservation today!